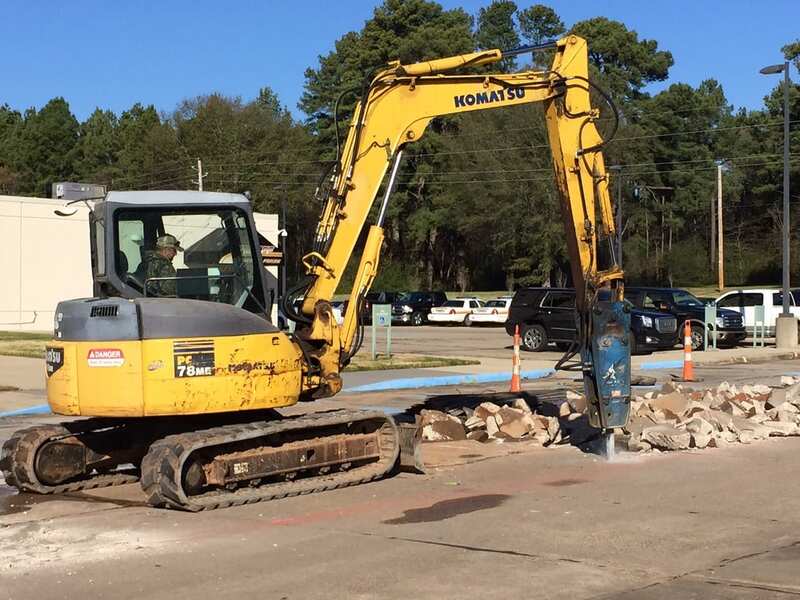 Courtesy Photo | Contractors are replacing a portion of the parking lot at the Bossier Parish Courthouse in Benton. Visitors to the Bossier Parish Courthouse in Benton should use other available parking lots while repair work is underway to the lot located on the east side of the facility. Parking is available in the large west side lot which fronts La. Hwy. 3. Additional space is available around the courthouse annex (east side of the courthouse) and on the parking lot atop the hill at the rear of the courthouse. Contractors for the parish Police Jury began work Tuesday digging out a portion of the east side parking lot to replace a section which had begun to crack. Ford said contractors should be able to finish the project in less than a month if the weather holds.